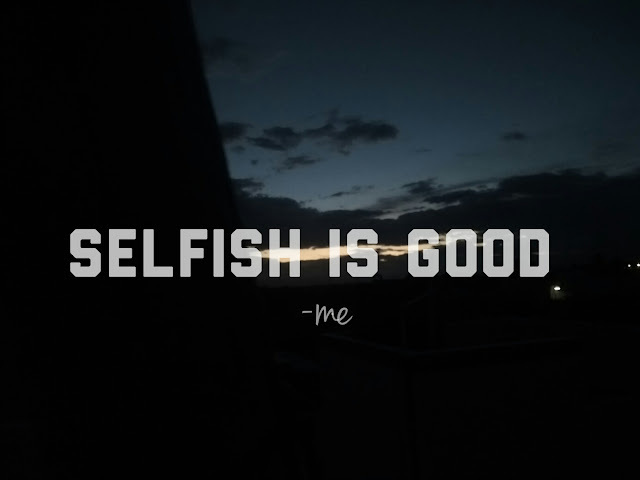 Home / Controversial Stories / Selfish Is Good,Why? And the things are “One connotation is that you’re unkind and inconsiderate of others. Compassion is the feeling you get when you want to help someone who is suffering. You see the person standing on the side of the road holding a sign asking for help. You automatically think if you had a bunch of money you would help them out. Self-esteem means having confidence in your abilities. This will lead to feeling like you are worthy of a happy life. No matter how many people tell you that you won’t become successful or put you down in some other way, you can still have high self-esteem. It comes from within you. You can train yourself to ignore the negatives. Don’t get this confused with cockiness, which has a strong element of arrogance and entitlement associated with it. Most arrogant people don’t have that much self-esteem, believe it or not. Selfish people tend to take better care of themselves only they tend to put tension and stress on others,so they less put energy in the world thus they are healthy on their own. Selfish people spend their time doing activities on themselves. If you know who you really are,and what makes you happier,and what things you can do,You will be Happier. “Selfish people are more inspired and confident and rarely give up"